I am pleased to share with you our 2017 Annual Report. 2017 has been a challenging, yet rewarding year. The revision of the Comprehensive Conservation and Management Plan (CCMP) for the Delaware Estuary continues with more than 900 people and 160 agencies that have contributed their ideas and energy to this critical document so far. Thanks to their efforts, we’re confident that the revised CCMP will be completed by the beginning of next year, launching an exciting new phase of discovery and recovery for the Delaware Estuary. Our work on the CCMP has already had a positive impact, helping shape the regional strategies of the Delaware River Watershed Initiative and the Delaware River Basin Restoration Program. We have also been working with partners across the region to release a new Technical Report for the Estuary and Basin, which you can read more about on page 3. 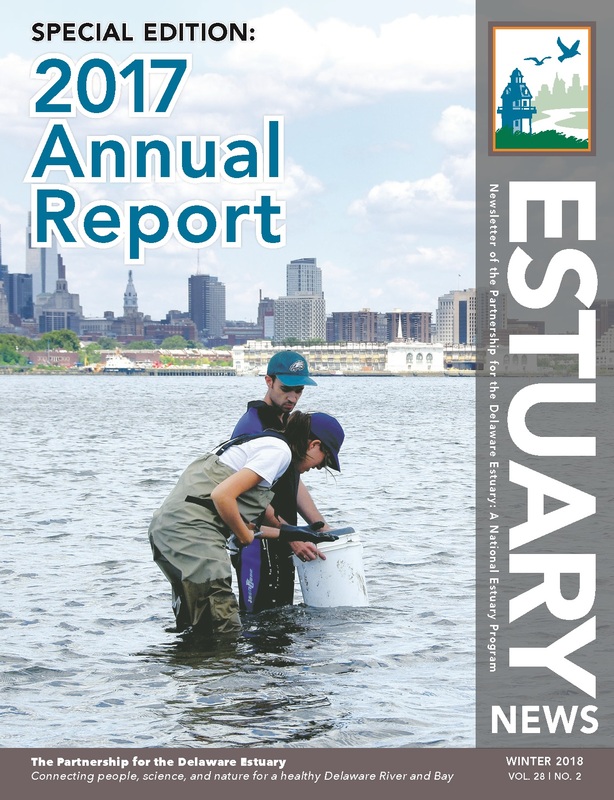 These efforts are helping to drive funding for science and restoration, and are keeping the Delaware Estuary a priority. Throughout 2017, we also worked to ensure support for the Estuary in other ways. Through the Association of National Estuary Programs, we helped to stave off massive cuts (for now) in federal funding, and provided information and guidance to a new Congressional Estuaries Caucus. In Delaware, we worked with local partners to find and promote new ways to fund water quality improvements. Through all the challenges, we’ve continued to advance the science and outreach programs that make our waters cleaner, our communities stronger, and habitats healthier. As you read about our activities in the following pages, please keep in mind that they wouldn’t be possible without your support.